Over 200 industry leaders from prominent banks and corporates converged at the inaugural edition of the Corporate Restructuring Summit with the aim of embracing new perspectives to tackle corporate credit challenges. 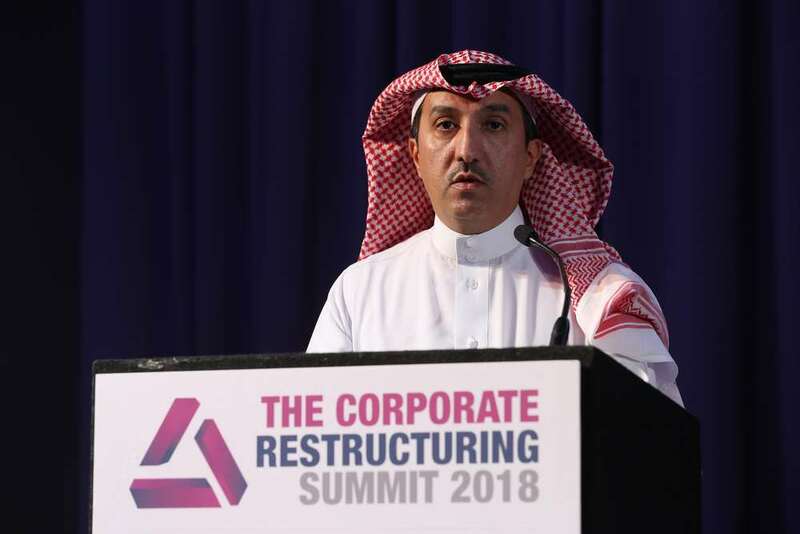 Over 200 key industry leaders gathered from across the GCC, witnessed path-breaking insights unfold across two-power packed days at the inaugural Corporate Restructuring Summit. Convened by Middle East Global Advisors, a leading financial intelligence platform spearheading the development of knowledge-based economies in the MENASEA markets, The Corporate Restructuring Summit (CRS) 2018 -the GCC region’s first Debt Restructuring and NPL-focused Summit, was held atthe Sheraton Grand Hotel inDubai, UAE. Addressing the theme of “Optimal Management of Financial Restructuring & Non-Performing Loans”, the summit’s visionis to facilitate an enabling environment to address the key challenges of restructuring and strategic reorganization offinance and debt-related issues. The critical insights thus gathered will thereby enable organizations with new perspectives to effectively tackle corporate credit challenges. One of the key highlights of the summit was the exclusive interview with Simon Charlton, Chief Restructuring Officer & Acting Chief Executive Officer, Ahmad Hamad Al Gosaibi & Brothers,on the financial restructuring of the Al Gosaibi Group – one of the biggest corporate restructuring cases in the MENA. The two-day summit was moderated by Talat Z. Hafiz, Secretary General – Media & Banking Awareness Committee, Saudi Banks, and key highlights included an exclusive presentation on Secured Transactions – Key Pillar of Modern Financial Infrastructure by Murat Sultanov, Senior Financial Sector Specialist, Finance Competitiveness & Innovation (FCI) Global Practice, World Bank Group; a presentation on The Interplay between the Economy, Finance & Corporate Restructuring by Carla Slim, Economist MENA, Financial Markets, Standard Chartered Bank, and a host of panel sessions focused on resolving GCC’s challenge of accumulating bad debts, impact of non-performing financing on Islamic banks, debt-to-equity swaps, effective management of NPLs, facilitating optimal multi-creditor out-of-court workouts& trends in consolidation, among others.